.113" 21 Deg 2-3/8" Framing Nails, 4000 pc. 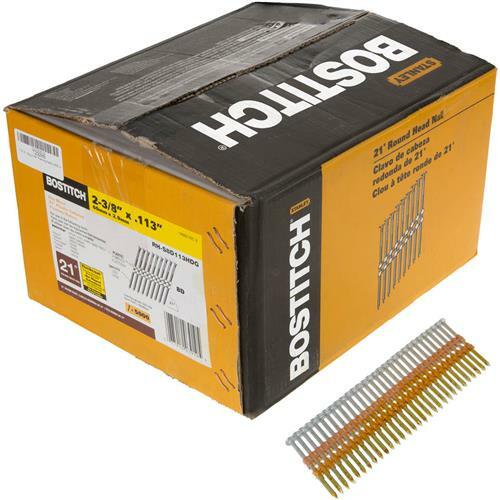 Bostitch RH-S8D113HDG - .113" 21 Deg 2-3/8" Framing Nails, 4000 pc. Specifications.113"21 DegreeGalvanized2-3/8" lengthBox of 4000For use with: H7665Please note: due to the high incident of fraudulent transactions with orders containing name brand products, orders for this item must ship to the billing address.